What happens if I miss my court date for a criminal offense? When you are charged with committing a crime, you may be released after paying bail while your case is pending. As a condition of your release, you agree to attend all required court hearings in your criminal case. This is something that you are already legally required to do. If you break this promise and fail to attend a court hearing, the consequences can be harsh. However, an experienced criminal defense attorney can help you to reduce the penalties that you could face. What Could Happen to You If You Miss a Court Hearing? Bench warrant. The judge may issue a warrant for your arrest. This is more likely for a misdemeanor or felony offense, but is also possible if you are required to go to court for a traffic violation. If the charges are serious, the police may actively look for you to arrest you, including going to your home or job. If you are charged with a less serious offense, you may not be arrested unless you are stopped for a traffic violation and the police check the computer records and see that a bench warrant was issued. Bail bond. You could have your bail revoked and be required to remain in jail until your case goes to trial. In addition, you could forfeit the original bond that you paid to be released when you were arrested initially. Separate criminal charge. You could be charged with contempt of court or another separate crime for missing your court hearing and face an additional punishment if convicted. Harsher sentence. If you are convicted of a crime or enter into a plea agreement, the judge will decide your sentence and can consider your remorse, or lack of it, in making his decision. 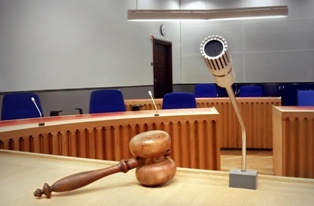 Many judges consider failing to appear at a court hearing as a sign of lack of remorse or of disrespect for the court. This could result in the judge imposing a harsher sentence. Driver’s license suspension. Another consequence of failing to appear in court is that your driver’s license could be suspended. If you miss a hearing in traffic court, the judge may issue a warrant for your arrest and notify the Department of Motor Vehicles (DMV) of the warrant. The DMV could send you a letter giving you two months to resolve your ticket before your driver’s license is suspended. If you wait too long after that to resolve your ticket, you could find your options for doing so with the prosecuting attorney are limited. What Can You Do If You Miss a Court Hearing? Go to the Clerk’s office immediately to explain why you missed your court hearing. Ask that the court hearing be rescheduled. This request may—or may not—be granted. Obtain documentation of the reason for missing court when possible. For example, get a letter from your treating physician if a medical emergency caused you to miss a court hearing. Contact your criminal defense attorney who may be able to get the arrest warrant dismissed and your court hearing date rescheduled. Have you missed a court date? We urge you to contact an experienced criminal defense attorney who can help you minimize the potential consequences that you face. To discuss your situation, call our office or fill out our online form to schedule your free consultation today.